With the Summer holidays fast approaching you’re probably going to have more dinner parties, meaning more guests visiting, or you’ll be jetting off to somewhere exotic, so having a home that is clutter free helps make this hectic and fun period less stressful. A clear home means a clear mind so here’s our tips to help revitalise your home ready for the Summer fiestas! Clutter creeps up on us. 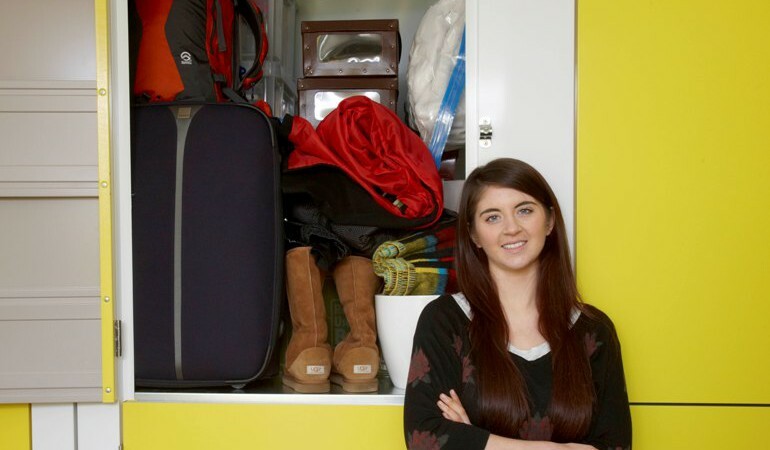 Without a regular blitz, the house can quickly look more like a jumble sale than a home. The ‘one in, one out’ mantra sounds great in theory, but in practice it rarely works. ‘Out of sight, out of mind,’ is another saying that doesn’t work for clutter because eventually your cupboards are full of stuff you don’t use and you have nowhere to keep things you do. If this sounds familiar, here are some tips on reclaiming your space. 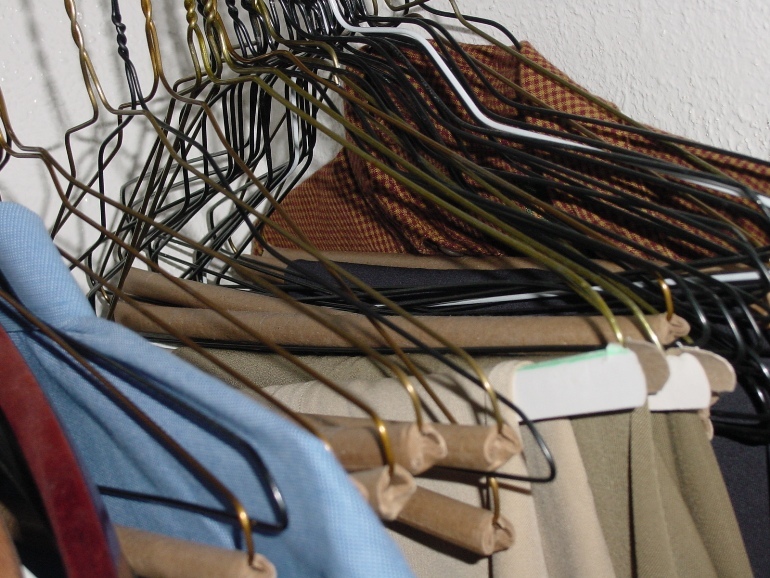 Wardrobes are one of the worst areas for accumulating too much clutter. The golden rule for clothes is this: if it doesn’t fit or you don’t like it, get rid. If it’s out of season but you want to keep it, store it away. Use vacuum bags to compress items like bedding and duvets. These are also handy for light clothing that recover easily from being crushed, but they’re not recommended for items you can’t iron effectively, such as overcoats. Put shoes and handbags into clear Perspex boxes and make sure the boxes are big enough that bags can lie flat. Protect both from crushing by packing them gently with bubble wrap. Grab a bin bag and go through food cupboards once every couple of months, discarding anything that’s out of date or past its best. Create extra drawer and cupboard space by using magnetic strips to store kitchen knives, and hang your best pans from ceiling or wall racks. Store herbs and spices in wall mounted spice racks. Inside cupboards, wire racks hung beneath shelves can double the available space, and cup hooks beneath cabinets are another space saver. Use drawer dividers to keep small items separate and organised, and use space cleared in cupboards for small appliances so you can keep worktops clear. Having some books on display looks great, but dog-eared paperbacks do your home no favours. E-readers are great decluttering allies, so make the most of them. 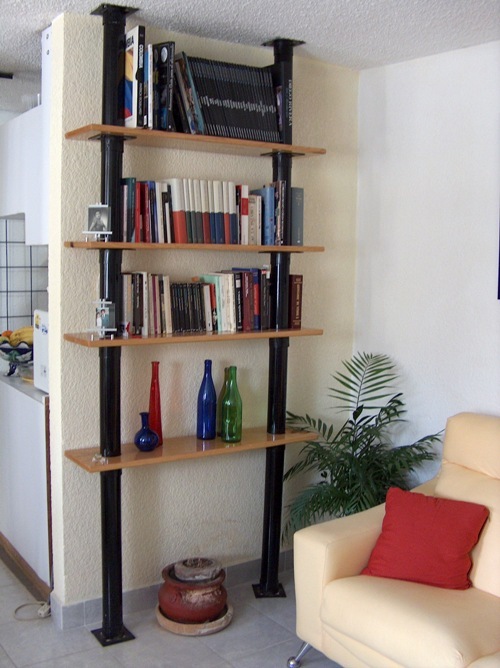 Keep your favourite hardback books on display, but store others you can’t bear to part with elsewhere. You’ll create a feeling of spaciousness in the living room, and save on dusting to boot. Home office items tend to go walkabout. If you don’t have a separate room to work in, designate your work area as the ‘office’. Install appropriate storage such as a small cabinet (or use one of your now empty bookcases) to hold office supplies, and be strict about keeping them there. If you work in the kitchen, earmark a cupboard for office supplies. With everything tucked away and organised you avoid the frustrating hunt every time you need a stapler or hole punch. Reorganising invariably means you have items you love but don’t use. Instead of undoing your good work by tucking them back into cupboards, store them in the loft, the garage, or the shed if it’s dry and secure. 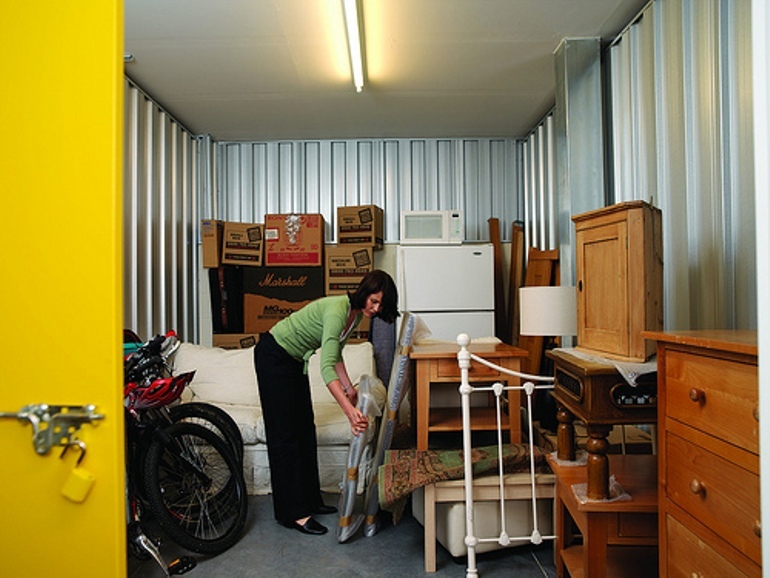 If you think they’ll slowly creep back into the house, consider an offsite location such as a self storage unit. Your things are still easily accessible, but there’s no temptation to bring them back on a whim. It takes constant vigilance to stem the creep of clutter. But controlling it through savvy storage and organisation creates a great sense of satisfaction and liberation.